Where do I use my musicMagpie voucher code? "Buy 1 get 1 free on DVDs." "Download the free app for great offers and deals." Declutter your home and make use of all those unwanted dust collectors, DVDs and CDs that you don’t want any more. Visit the musicMagpie online store and swap your items for cash. Or, alternatively, if you’re looking to buy new and used tech whether that be films, CD’s, vinyl, mobiles or games head to a musicMagpie store and find just what you’re looking for, for a bargain price. To save even more money make sure you check out our musicMagpie voucher codes before you start. We read most books once then leave them on a shelf somewhere collecting dust, never to be used again. Why not find your books a better home, and make some cash in the process. Simply enter your book’s barcode on the musicMagpie website and receive an instant quote for all the unwanted books sitting in your home. You can also use the musicMagpie app that allows you to browse and scan products quicker. musicMagpie accepts all genres of books including novels and autobiographies. Once you have completed your order send all your items direct to musicMagpie for free and receive your payment the very same day. You can also use musicMagpie if you are looking to buy cheap books, and for an even further discount on your order, you can use our voucher codes to help save you money at the checkout. Shop from an expansive range of new and used books and discover all variety of genres like kids books and cult classics. There are all-time favourites like Harry Potter, Game of Thrones and Roald Dahl as well other fantastic collections and authors waiting to be either re-visited or discovered. Even if your book is pre-used, musicMagpie guarantee that it’ll be in great condition, so you can be confident that you’re buying an admirable copy that’s still intact, with few minor defects. Most books come at the bargain price of just £2.99, there are also many offers and deals on popular titles and award-winning authors too. Find all the latest deals available on the musicMagpie store here at Netvouchercodes as well as money saving voucher codes that you’ll love. These days it’s essential that we keep up to date with the latest technology and mobile phones, however, sometimes that means spending a fortune! With the ever-evolving designs and devices, most models are out of date after a couple of years. Why break the bank affording a brand new phone when you can buy a refurbished one from musicMagpie that looks just the same and works just as well? They sell a huge range of refurbished phones, including the iPhone 4 and 4S, the iPhone 5, 5c and 5S, the iPhone 6 and 6 Plus as well as Samsung phones, HTCs and much more. All of the second-hand musicMagpie phones are thoroughly checked and come with a 12-month guarantee, so you can buy with confidence. Similarly, if you think your phone has had it’s time, or you simply want another model you can sell your mobile phone with musicMagpie. Here, phone trade-ins are easy and great ways to receive instant cash. Just enter your mobile into the valuation engine on the musicMagpie website for an instant price, then send your mobile using their free send service that ensures your phone arrives in pristine condition. If you’re planning on either buying or selling a mobile phone with musicMagpie make sure you take a look at our voucher codes first. You may find a deal, offer or discount code, that you can use in conjunction with your order, that can save you money on your transaction. What condition will musicMagpie tech items be in? musicMagpie’s team of tech experts test and refurbish all items before putting them up for sale. Items are listed on the musicMagpie Store as being one of the following conditions: Pristine Condition, Very Good Condition or Good Condition. What’s the maximum number of items I can sell to musicMagpie? musicMagpie accepts orders of up to 500 items. There is no minimum number of items required to sell in one transaction, but items must have a minimum collected value of £5. How can I contact musicMagpie? musicMagpie.co.uk take the hassle out of clearing out and selling old and un-wanted items. 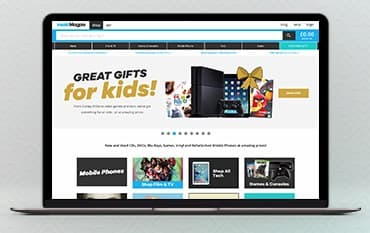 It's surprisingly quick and easy to declutter and get cash for your stuff with musicMagpie.co.uk, which is why millions of people choose them each year to sell their CDs, DVDs, Games, Books, Blu-Rays & Tech. It’s simple: get an instant price for your items, put all of your stuff into a box and send it off using their free Courier or Send Service! You won’t have to wait to receive your cash either. musicMagpic.co.uk pay on the same day they receive your unwanted items so your cash will be ready to spend the day after!